英文摘要：Organisms living in high altitudes are exposed to multiple stresses such as low temperature, hypoxia, high UV radiation and other extreme environmental factors. Understanding how high-altitude species cope with the combined effects of environmental factors can provide important insights into the process of adaptive evolution. Mitochondria are the energy factory in cells, and more than 95% of the energy in cells is produced by the mitochondrial oxidative phosphorylation (OXPHOS). Therefore, mitochondria likely plays an important role in the process of high-altitude adaptation. Lizard species of the genus Phrynocephalus (Squamata, Agamidae) are widespread in central Asia and cross a large elevational range from 1000 m to 5300 m. Using two high-altitude and six low-altitude Phrynocephalus species, the role of mitochondrial genome in high-altitude adaptation of ectotherms were tested in this study. The branch model analyses revealed that Phrynocephalus theobaldi had the largest ω value among species, followed by P. vlangalii. Among different genes, ATP8 had the largest ω value, and in P. theobaldi it was greater than 1, suggesting that ATP8 had experienced positive selection. In the branch-site model analyses, we found evidence of positive selection in ATP8 gene on the P. theobaldi branch (P<0.05). Amino-acid residue sites 5 and 40 of the ATP8 genes were inferred as positively selected sites with posterior probabilities greater than 95%. Our results suggested that the changes of mitochondrial genes likely played a critical role during the adaptation process to high altitudes for P. theobaldi. Surprisingly, no evidence for positive selection was detected in P. vlangalii, suggesting that species might use different molecular mechanisms in high-altitude adaptation. 赵尔宓, 赵肯堂, 周开亚. 1999. 中国动物志 爬行纲. 第二卷. 有鳞目 蜥蜴亚目[M]. 北京: 科学出版社: 151. 赵肯堂. 1997. 中国的沙蜥属研究[J]. 动物学杂志, 32(1): 15-19. Aljanabi S, Martinez I. 1997. Universal and rapid salt-extraction of high quality genomic DNA for PCR-based techniques[J]. Nucleic Acids Research, 25(22): 4692-4693. Boore JL. 1999. Animal mitochondrial genomes[J]. Nucleic Acids Reseach, 27(8): 1767-1780. Cheviron ZA, Bachman GC, Connaty AD. 2012. Regulatory changes contribute to the adaptive enhancement of thermogenic capacity in high-altitude deer mice[J]. Proceedings of the National Academy of Sciences, USA, 109(22): 8635-8640.
da Fonseca RR, Johnson WE, O'Brien SJ, et al. 2008. The adaptive evolution of the mammalian mitochondrial genome[J]. BMC Genomics, 9: 119. Galtier N, Nabholz B, Glemin S, et al. 2009. Mitochondrial DNA as a marker of molecular diversity: a reappraisal[J]. Molecular Ecology, 18(22): 4541-4550. Grandcolas P, D'Haese C. 2003. Testing adaptation with phylogeny: how to account for phylogenetic pattern and selective value together[J]. Zoologica Scripta, 32(5): 483-490. Guo X, Wang Y. 2007. Partitioned Bayesian analyses, dispersal-vicariance analysis, and the biogeography of Chinese toad-headed lizards (Agamidae: Phrynocephalus): a re-evaluation[J]. Molecular Phylogenetics and Evolution, 45(2): 643-662. Jin Y, Brown RP. 2013. 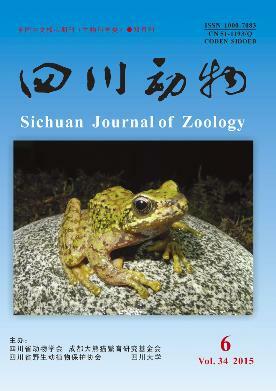 Species history and divergence times of viviparous and oviparous Chinese toad-headed sand lizards (Phrynocephalus) on the Qinghai-Tibetan Plateau[J]. Molecular Phylogenetics and Evolution, 68(2): 259-268. Lenormand T. 2002. Gene flow and the limits to natural selection[J]. Trends in Ecology & Evolution, 17(4): 183-189. Meiklejohn CD, Montooth KL, Rand DM. 2007. Positive and negative selection on the mitochondrial genome[J]. Trends Genetics, 23(6): 259-263. Pang J, Wang Y, Zhong Y, et al. 2003. A phylogeny of Chinese species in the genus Phrynocephalus (Agamidae) inferred from mitochondrial DNA sequences[J]. Molecular Phylogenetics and Evolution, 27(3): 398-409. Rand DM. 2001. The units of selection on mitochondrial DNA[J]. Annual Review of Ecology and Systematics, 32(1): 415-448. Rokas A, Carroll SB. 2008. Frequent and widespread parallel evolution of protein sequences[J]. Molecular Biology and Evolution, 25(9): 1943-1953. Ronquist F, Teslenko M, Ayres DL, et al. 2012. MrBayes 3.2: efficient Bayesian phylogenetic inference and model choice across a large model space[J]. System Biology, 61(3): 539-542. Scheinfeldt LB, Tishkoff SA. 2010. Living the high life: high-altitude adaptation[J]. Genome Biology, 11(9): 133. Stamatakis A. 2006. RAxML-VI-HPC: maximum likelihood-based phylogenetic analyses with thousands of taxa and mixed models[J]. Bioinformatics, 22(21): 2688-2690. Sun C, Kong QP, Zhang YP. 2007. The role of climate in human mitochondrial DNA evolution: a reappraisal[J]. Genomics, 89(3): 338-342. Tang X, Xin Y, Wang H, et al. 2013. Metabolic characteristics and response to high altitude in Phrynocephalus erythrurus (Lacertilia: Agamidae), a lizard dwell at altitudes higher than any other living lizards in the world[J]. PLoS ONE, 8(8): e71976. Xu S, Luosang J, Hua S, et al. 2007. High altitude adaptation and phylogenetic analysis of Tibetan horse based on the mitochondrial genome[J]. Journal of Genetics and Genomics, 34(8): 720-729. Yang W, Qi Y, Fu J. 2014. Exploring the genetic basis of adaptation to high elevations in reptiles: a comparative transcriptome analysis of two toad headed Agamas (Genus Phrynocephalus)[J]. PLoS ONE, 9(11): e112218. Yang Z, Nielsen R. 1998. Synonymous and nonsynonymous rate variation in nuclear genes of mammals[J]. Molecular Evolution, 46(4): 409-418. Yu L, Wang X, Ting N, et al. 2011. Mitogenomic analysis of Chinese snub-nosed monkeys: evidence of positive selection in NADH dehydrogenase genes in high-altitude adaptation[J]. Mitochondrion, 11: 497-503. Zhang J, Nielsen R, Yang Z. 2005. Evaluation of an improved branch-site likelihood method for detecting positive selection at the molecular level[J]. Molecular Biology and Evolution, 22(12): 2472-2479. Zhang W, Fan Z, Han E, et al. 2014. Hypoxia adaptations in the grey wolf (Canis lupus chanco) from Qinghai-Tibet Plateau[J]. PLoS Genetics, 10(7): e1004466. Zhou T, Shen X, David M, et al. 2014. Mitogenomic analyses propose positive selection in mitochondrial genes for high-altitude adaptation in galliform birds[J]. Mitochondrion, 18: 70-75.